Life can be hard. No matter the size of the struggle you're facing, God is always bigger. We are a new, small congregation, with limited resources, but we are happy to help any way we can. These community resources are amazing organizations that may be able to help you find hope! Our FREE Medical Clinic is open the 3rd Sunday of each month for anyone who needs care. Assistance for our community including clothing, household items, food, utilities assistance, rent assistance, and more. 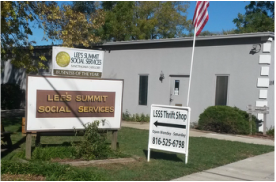 Hillcrest provides a transitional housing program for the homeless in multiple communities around the Kansas City metro including Lee's Summit. For 30 years, Hillcrest has helped families get back on their feet. 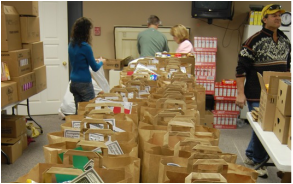 Food pantry, clothing and home items, mobile senior services, Christmas adoptions, and more. Hope House services form a safety net of prevention, education and support for thousands of people in the Kansas City area traumatized by domestic violence every year. We strive to make Rachel House the first choice for those who are at risk for abortion in our service communities. We work to create a culture of life through education, advocacy, evangelism and discipleship. May we support you through this time with prayer? God did not create us to endure the trials of life alone, and you don't have to. You can share your prayer requests with our whole church, or just Pastor Corey. Let us know!